It’s been several years since I completed the first level examination with the Guild of Sommeliers but a few of my friends have asked me for holiday wine recommendations so I thought I’d brush up on my wine knowledge and share a few of my favorite New World boutique wines. Bonny Doon Vineyards: Vintner Hall of Famer, Randall Grahm, is the character behind the grape. He’s a philosopher and punster who focuses on the terroir (soil type) and nature to create amazing “Rhone-like” wines. To give you a glimpse of his personality, Grahm’s flagship wine “Le Cigar Volant” was named after the 1954 law in the Châteauneuf-du-Pape AOC prohibiting flying saucers from traveling over the region’s vineyards. Bonny Doon Vineyards offers a variety of wine at different price ranges and the label art makes you want to hang on to the bottle long after the wine is gone. 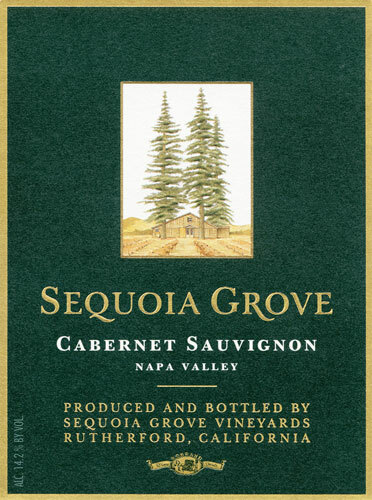 Sequoia Grove: If you ever see a bottle of Sequoia Grove’s Merlot in a wine shop, grab it immediately. I rarely see it in retail shops but fell in love with the wine after attending a dinner with Sequoia’s President & Director of Winemaking, Michael Trujillo. Talk about passion in winemaking! Adobe Road Winery: Okay, so there’s been a surge in celebrities and sports stars moonlighting in winemaking but this is not one of them. Former NASCAR racer Kevin Buckler and his wife Deborah created Adobe Road located in Sonoma and their Cabernet Sauvignon comes highly recommended by my former colleague VP of Wine and Spirits, Tylor Field III. Duckhorn Vineyards: Co-founders Dan and Margaret Duckhorn make an amazing Bordeaux style wine. They were rocking the Merlot grape before the Merlot grape was in-out-and-back-in style. Lots of steakhouses carry this wine and it’s easier to find in retail than some of my other recommendations above. Tell me what wines I should add to this list!